Removing a cellular plan doesn't cancel your service. To cancel your service, contact your carrier. 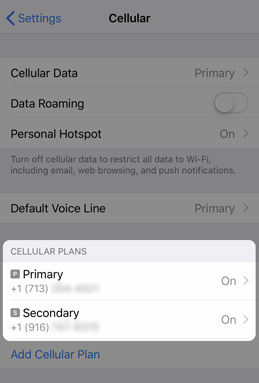 From the 'CELLULAR PLANS' section, tap the desired number. This option only appears if an eSIM is activated. To confirm, tap Remove Verizon Plan.